Zimbabwe Independent editor Dumisani Muleya this week spoke to insiders and aviation sources to get to the bottom of how the state-owned airline crashed from the cruising levels it flew at in the 1980s deep into the doldrums it is now firmly stuck in. What emerges from this investigation is a picture of a small and modest, but successful airline - with 18 planes in 1980 - which was over the years reduced to rubble due to extended periods of systematic mismanagement, corruption and incompetence. Information gathered during the research shows the plundering of state-owned enterprises, including AirZim, began immediately after Independence in 1980. Then it was more cautious, restrained and subtle. However, as former president Robert Mugabe's regime got more confident and comfortable with the trappings of power, officials' initial predatory instincts and later looting spree became bolder and more brazen. Mugabe was in government for almost four decades and evidently loved the trappings of power. Nowhere was that more evident than at AirZim. At the flag carrier - AirZim - the abuse, which later deteriorated into pillaging, entailed Mugabe and his officials commandeering aircraft to attend local, regional and international meetings, no matter how peripheral. The former president, initially as prime minister, always travelled with huge delegations in tow. Until his last days in power last November when he was toppled through a military coup by President Emmerson Mnangagwa and his security forces allies, Mugabe would attend all sorts of meetings with bloated entourages, averaging 100 officials at a time. As time went by, political elites and their associates' appetite for the finer things in life grew. They wanted mansions at home, in the region and overseas, as well as top-of-the-range cars. Then they became more daring and shameless in their plundering. An insider said they even took over the role of aircraft procurement for the national airline to maximise self-aggrandisement. Those who travelled with Mugabe said parasitic hangers-on would include officials' wives, mistresses, family members, relatives, butlers, maids, cooks, aides, cronies and bootlickers who came in all shapes and sizes to pay homage and endear themselves to political royalty. They did not want to pay for anything. Freeloading - abusing public and AirZim resources for personal gain and self-gratification - became their modus operandi and way of life. Mugabe, who was to later live like a King after marrying his current fashionista wife Grace, got first-class treatment, with proper and full silver service during his globetrotting on AirZim. "Crockery and cutlery would include lead crystal and sterling silver from Germany emblazoned with the Zimbabwe coat of arms," a former AirZim crew member told the Independent this week. "Champagne would flow (usually Moët & Chandon - the best champagne brand in the world) on the flights." The elites' champagne lifestyle - which involved expensive luxuries and pleasures - was to become the hallmark of government officials and their associates' lives during Mugabe's disastrous reign. A regular traveller with Mugabe said official entourages would shop compulsively and everything would be loaded onto AirZim free of charge. Aviation experts say the heavier an aircraft is the more fuel it guzzles. Former AirZim workers said on arrival at Harare International Airport - now interestingly named Robert Mugabe International Airport - trucks would roll straight to the aircraft and load all the cargo before whisking it away via the VIP entrance to the airport. Customs officers would not dare come anywhere near that aircraft or ask the chefs and their comrades in tow anything. "The bills for such flights were not always paid to AirZim," said a senior former AirZim manager. "This means AirZim and taxpayers picked up the tab." Another crew member further explained: "The bigwigs, their wives, girlfriends, kids and relatives owned shops and flea markets in town, and invariably the stock would come on AirZim free of charge, with no customs duties or relevant taxes paid. When the former first lady wanted prawns or something tasty from South Africa, an order would be given to the area manager for AirZim in Johannesburg and 100kg of prawns or whatever would be bought on the AirZim catering bill and shipped to Harare free of charge. "The position of area manager was a coveted one; whether you retained it or not depended on how well you attended to or serviced the insatiable demands of the chefs and their cronies." An employee at the AirZim reservation office said officials and their associates also sometimes paid discounted prices, got upgrades or did not pay at all for flights. "Sometimes they would buy the cheapest economy class tickets, but be upgraded to business class, enjoying services that cost a lot more without paying for that. That is if they paid at all!" the worker said. "These things were clearly unsustainable." By the late 1980s, mismanagement and corruption were taking their toll on the AirZim - established with great hope it would commercially prosper, especially since it was going to operate in an open global environment without United Nations sanctions that had constrained its predecessor, Rhodesia Airways, forerunner Central African Airways - and year after year losses began to be reported and accumulate unsustainably. The financial haemorrhaging was largely due to a combination of factors: internal failures, bad government policies and a difficult operating environment. Despite its initial impressive expansion, AirZim's books were bad and it got in the red since 1981. Notwithstanding government's interventions through subsidies and inquiries, including the 1986 Justice Smith Commission of Inquiry, the situation only got worse as it failed to meet its obligations. From there it was downhill for perennially loss-making AirZim - currently reeling from a US$341 million debt - until it crash-landed to where it is grounded now. Public records show the technically insolvent AirZim - authorities' feeding trough - in 1980 owned 18 planes, which included a Viscount fleet, Boeing 707s which had replaced Boeing 720s and later Boeing 737-200, Boeing 767-200 and BAe 146. Insiders say the early procurement of the Boeing planes was beset with allegations of corruption. They say controversy also surrounded the leasing of Fokker 50s in the mid-1990s as they proved unsuitable to local weather conditions. A former AirZim manager said government at one time sought to procure a presidential jet for Mugabe, but instead of letting the experts at the national airline do the job, the chefs took it upon themselves to identify and purchase the aircraft. When it was delivered, what was supposed to be a long-haul aircraft to take him to meetings all over the world turned out to be a short-haul plane that could do no longer than a three-hour flight without stopping to refuel. The aircraft was dumped onto the AirZim fleet, re-opening the floodgates for Mugabe to cause flight disruptions and unreliability. In 2005/2006, after AirZim requested for short-haul aircraft, government officials pitched up with agreements to buy Chinese planes that no one at the airline at the time had ever heard of before - MA60s. "Officials claimed the unbearably noisy aircraft cost US$12,5 million each and that they had bought two and got one for free. Including the ground support equipment and personnel training, the bill was around US$48 million," an AirZim manager said. "Surprisingly, sometime last year, the same government wanted to buy three MA60s for US$6 million. This means the unit cost of an MA60 is actually US$2 million, not US$12,5 million. The huge price discrepancies created room for rent-seeking opportunities and bribes." In 2006, government wanted to buy five Ilyushin Il-96s aircraft from Russia. It planned to purchase at least five Ilyushin and Tupolev aircraft from Russia's Voronezh Aircraft Construction Company. The ordered fleet consisted of three 400T and two 400M passenger aircraft. However, an Independent investigation at the time showed the deal later collapsed amid bribery allegations involving US$25 million. Those involved said the then Transport minister Chris Mushohwe and Reserve Bank of Zimbabwe officials left Russia in a huff after a dispute erupted during negotiations. They feared a Russian Mafia-style backlash after the deal fell through as a result of disagreements over a US$25 million "commission" - meaning bribe - that was supposed to be paid in advance, over and above the agreed US$381,7 million for the controversial planes, locally derided as "flying coffins". Around 2008/2009, government claimed to have secured two A340s for AirZim somewhere in Russia. Investigations show senior AirZim managers and legal advisers from Ministry of Transport travelled to Russia to negotiate the deal. "Some money also changed hands during negotiations," one AirZim official said. "A number of senior pilots from AirZim's Boeing fleet were sent for conversion training for the A340s. This meant they could no longer fly Boeing. The aircraft were never delivered and the pilots sat at home doing nothing, but drawing salaries until the airline reconverted them to Boeing. Conversion training can cost as much as US$35 000 per pilot. It is not clear what happened to the aircraft or the money." Our investigations reveal in 2011 AirZim management was instructed by government to go to Hong Kong to finalise lease agreements for two A320s with a company called China Sonangol. "The units had already been identified and management was led to believe that the whole transaction was part of the larger co-operation between Zimbabwe and China," one aviation source said. "The lease was for five years. A deposit of US$750 000 was required for each aircraft and the monthly charges were US$250 000 per aircraft. The planes hardly flew for a few months before they started having serious technical problems. "When it was suggested that the aircraft be returned to the lessor, government officials angrily protested and placed some managers on their marked list. Management was instructed to do whatever it took to ensure the aircraft continued flying at whatever risk to passengers." Informed sources say one aircraft was sent to South Africa for extensive repairs at a huge cost. Then it later turned out this was obsolete equipment already rejected by other serious airlines. Also it transpired mysterious Chinese tycoon Sam Pa had an interest in the deal through China Sonangol. Investigations show the leases were concluded under a Special Purpose Vehicle registered in the Isle of Man. Although the lease period has since expired, the planes are still on the AirZim fleet. It is not known who really owns them. There have been other controversial AirZim leasing deals as well. AirZim managers say they later discovered the A320s deal involved Sam Pa - head of the shadowy Hong Kong-based syndicate known as 88 Queensway Group which has vast networks across the globe and that helped prop up Mugabe's regime - although this was never disclosed at the material time. Pa, arrested in China in 2015 reportedly in connection with a major corruption probe involving China's state-owned oil company Sinopec, was linked to Sino-Zim, a ghostly company which was involved in Marange diamond mining activities. With a reported Chinese intelligence background and many pseudonyms, Pa apparently provided Zimbabwe's Central Intelligence Organisation with secret funds to support Mugabe's regime. AirZim is currently engulfed in a storm of controversy over the procurement using public funds of four planes - two Boeing 777s for US$35 million from Malaysia Airlines and two Embraers for US$6 million - to be placed under the control of a mysterious entity known as the Zimbabwean Aviation Leasing Company (ZALC). Government claims it owns the entity and it is going to lease the planes, legally owned by AirZim, to a shady new airline called Zimbabwe Airways (ZimAirways) whose ownership, structure and identity are murky. Officials claim government owns ZimAirways and ZALC which were formed to bust Western sanctions on Zimbabwe, but information shows Transport minister Joram Gumbo and Mugabe's son-in-law and former AirZim chief operating officer Simba Chikore are deeply involved in the deal. They have been actively helping ZimAirways, while undermining AirZim, suggesting a conflict of interest and vested personal interests even though they say these entities are state-owned. 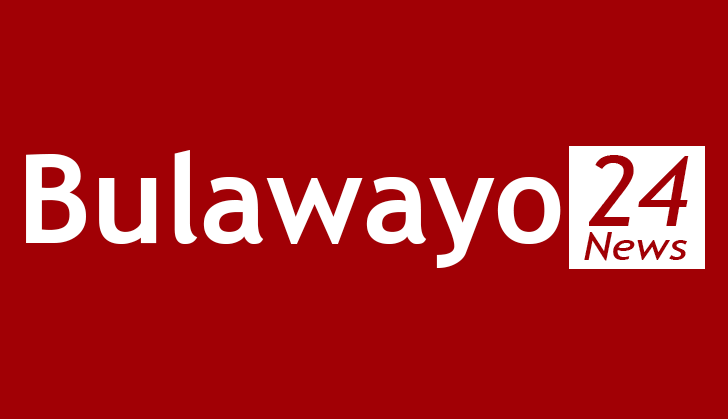 Gumbo has been giving conflicting versions of the deal and ownership of ZimAirways and ZALC. A desperate firefighting bid by Finance minister Patrick Chinamasa on Wednesday only managed to raise more questions than answers. Officials failed to provide documentation and proof to back their claims and cover their tracks, leaving the public convinced it is a corrupt deal in which authorities and their cronies personally benefitted something.